I just read this article and thought you might want to give it a read, too. It\'s called 18 incredible things you can do in America’s largest county and you can find it here https://www.orbitz.com/blog/2019/02/18-incredible-things-you-can-do-in-americas-largest-county/. What do New Jersey, Rhode Island, Delaware and Connecticut all have in common? They all fit neatly inside America’s largest county. 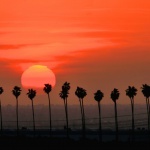 A 20,105-square-mile giant stretching from suburban Los Angeles all the way to the Nevada border, San Bernardino County in Southern California is larger that 70 sovereign nations and roughly the size of West Virginia. It is also a geographic wonderland encompassing Alpine forests, wavy sand dunes and fields of Joshua trees and is dotted with kooky roadside treasures, outsider art, dusty ghost towns, mom and pop eateries and so much more. If all you do is bolt through it via freeway, you’ll miss out on all the treasures contained within this vast but immensely rewarding landscape. Here are 18 incredible things you can do in America’s largest county. 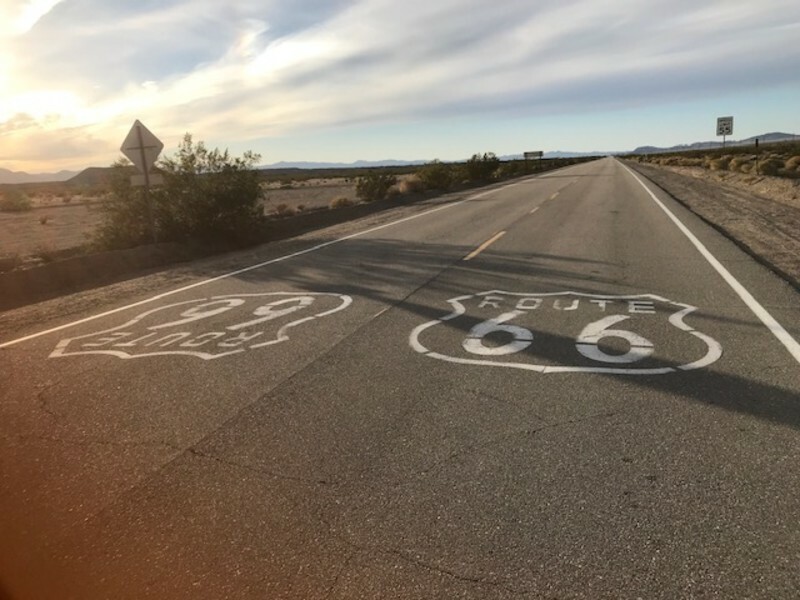 The ultimate road trip (ironically more popular with Europeans than Americans) is Route 66, which cuts a two-lane path from downtown Chicago all the way to land’s end in Santa Monica, California. The portion cutting through San Bernardino County is nothing short of majestic. Snap a pic in front of desolate mid-century icon Roy’s in Amboy (see Amboy Crater below); grab grub at cinematic roadside diner the Bagdad Cafe; and admire the glass oddities at Elmer’s Bottletree Ranch in Oro Grande before sliding into LA County. 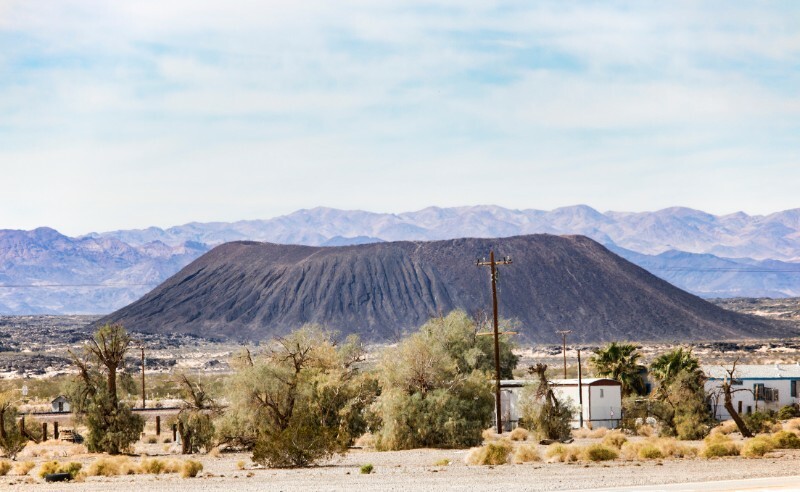 No joke: The Golden State is home to 20 volcanoes, including Amboy Crater, an extinct cinder cone volcano that hasn’t erupted in 10,000 years. It’s in the literal middle of nowhere (it’s south of the Mojave National Preserve and I-40 and accessible via paved roads), but a worthy detour and an easy to moderate 3-mile hike through a lava field up to the volcano rim. 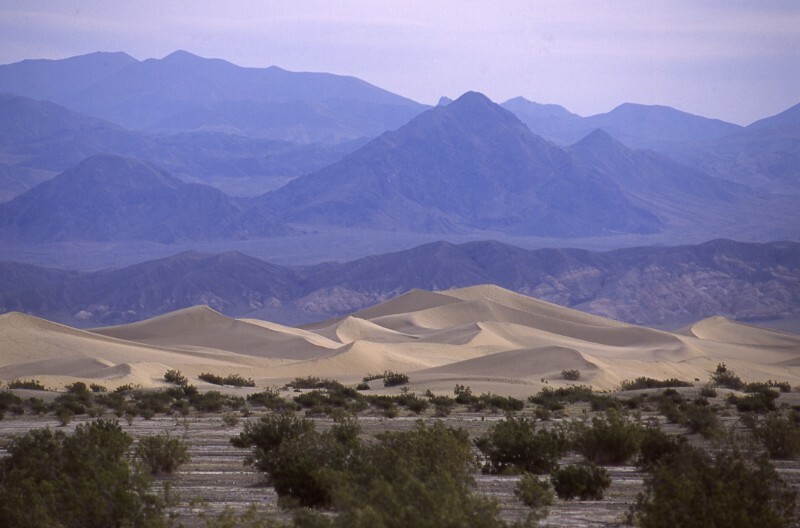 Obama declared it part of the Mojave Trails National Monument in 2016. Come in spring when wildflowers give the desert landscape a dash of brilliant color. The parched desert landscape comes to an abrupt halt at Pirate’s Cove Resort and Marina, a buzzing, family-friendly oasis sprawled out along the banks of the Colorado River in an otherwise desolate area. 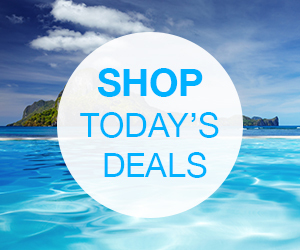 Think waterfront cabins, elbow-to-elbow RVs, beachfront as far as the eye can see, a restaurant, general store and more. But the real draw are the outdoor activities. Grab a buggy and tear up more than 3,000 miles of designated trails or head down to the marina for speedboat or jet ski action. You can even arrange a private yacht charter and booze your way down the Colorado. Want to hear a pin drop? Try spending time in the Mojave National Preserve, a nearly 700,000-acre desert expanse perfectly accessible via I-40 and I-15, but often missed by road trippers antsy to get to cities like Vegas and LA. That’s a shame. They’re missing out on a desert wonderland so raw and beautiful it makes the heart break. The marquee attraction is to hike the undulating Kelso Dunes, but there’s also the largest Joshua Tree forest in the world, Cima Dome, petroglyphs along Ring Trail and popular Mitchell Caverns Trail. Do yourself a favor and start at the Kelso Depot Visitor’s Center. Their French fries are the world’s greatest (in our humble opinions) and how they get their coke to taste so good we’ll never know. Unfortunately, you can’t order either at The Original McDonald’s, a historic site in the city of San Bernardino. But what you can do is step inside the very first McDonald’s (before it became a Chicago-based franchise) which is now a museum crammed full of McMemorobilia. The collection is pretty impressive even if you’re not a fast food fan. Did you know Mickey D’s once served PB&J?! 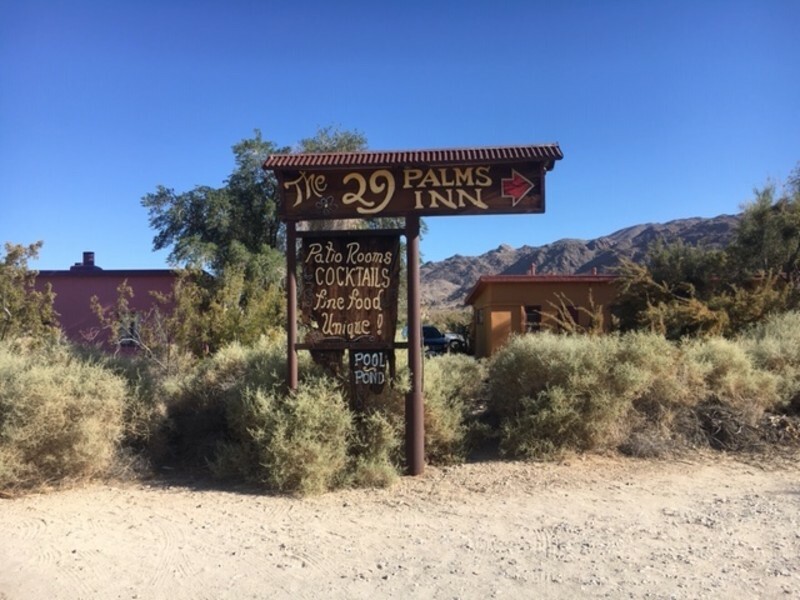 A collection of unique cottages, bungalows and guest houses scattered across 70 acres of pristine desert landscape, the family owned and operated 29 Palms Inn (since 1928) is also a restaurant, art center and local hangout just a stone’s throw from Joshua Tree National Park—and we couldn’t love it more. Rise and shine to yoga on the lawn, take a pottery class at the onsite Creative Center and Gallery, hang by the pond and admire the tiny tugboat where the family once lived or breeze into the inn at supper for laid-back poolside dining featuring a menu partly crafted from the onsite farm. Forget Big Sur and Ojai: Come here to rejuvenate your soul. Travelers making the drive between Las Vegas and LA know that the towns along I-15 are pretty darn snooze worthy. But do swing off the interstate in sleepy Baker where a functioning thermometer smack in the middle of town also happens to be the world’s largest. The height of the 134-feet tall roadside icon is meant to commemorate the record 134 degrees recorded in nearby Death Valley in 1913. Best time to view the thermometer? In summer, of course, when temps are routinely in the 110s and sometimes 120s! 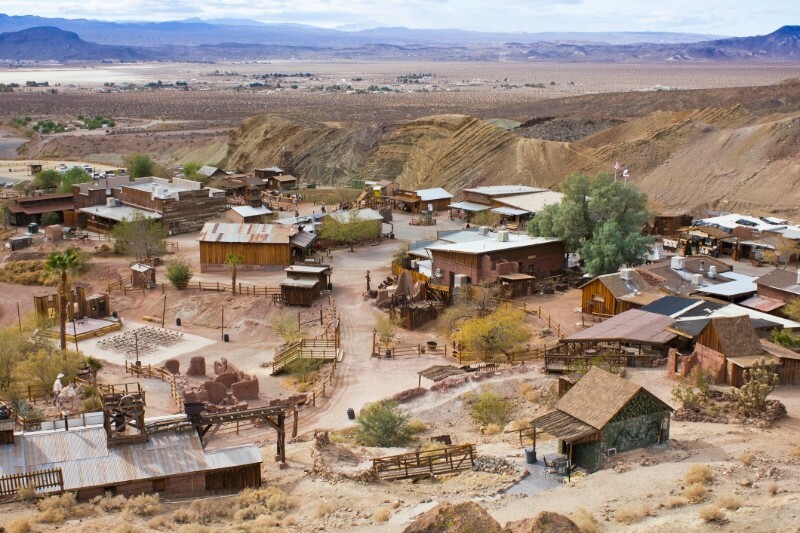 Tired of traveling to the most desolate reaches of the country, movie stars like Roy Rogers and Gene Autry created a Western movie set in 1946 they called Pioneertown. The Western genre went bust long ago, but the town has since discovered a second life among SoCal artists and off-grid types. Anchored by Pappy and Harriet’s, a rollicking roadhouse where Sir Paul McCartney once played a surprise set, several of the town’s storefronts are now open for business and sell locally crafted artisan goods. 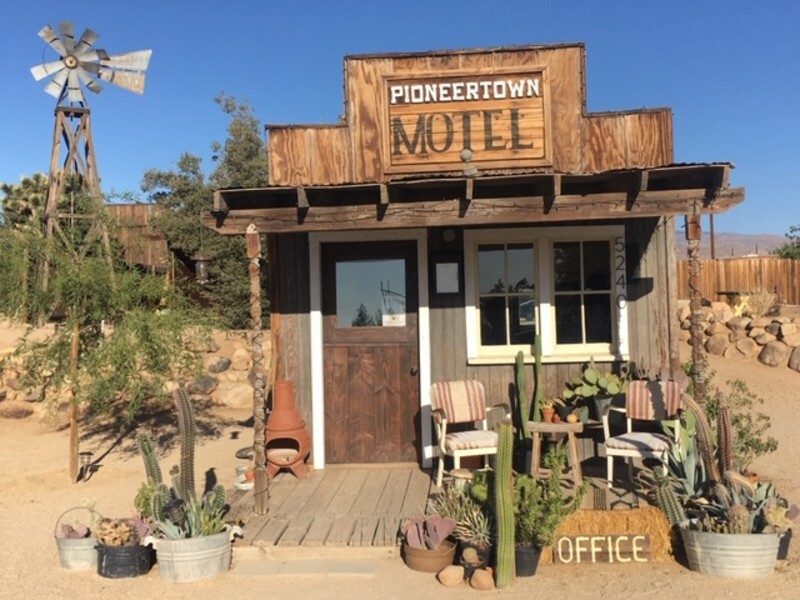 Another town highlight is the Pioneertown Motel, a rustic-chic lodging whose best feature is unobstructed nighttime stargazing. There’s not much to do in the town of Needles. If you’re traveling I-40 it’s basically the place to stop and get fuel (high gas prices prove this point), but it has one claim to fame and it’s that it almost touches two other states. Its location on the Colorado River puts it a literal stone’s throw from Arizona and up the road some 17 miles is Nevada’s pointy tip. If you’re on a 50-state tour, this little area is pretty much a guaranteed way to kill three birds with one stone. The number of lonely, two-lane roads running through the desert are too numerous too count. 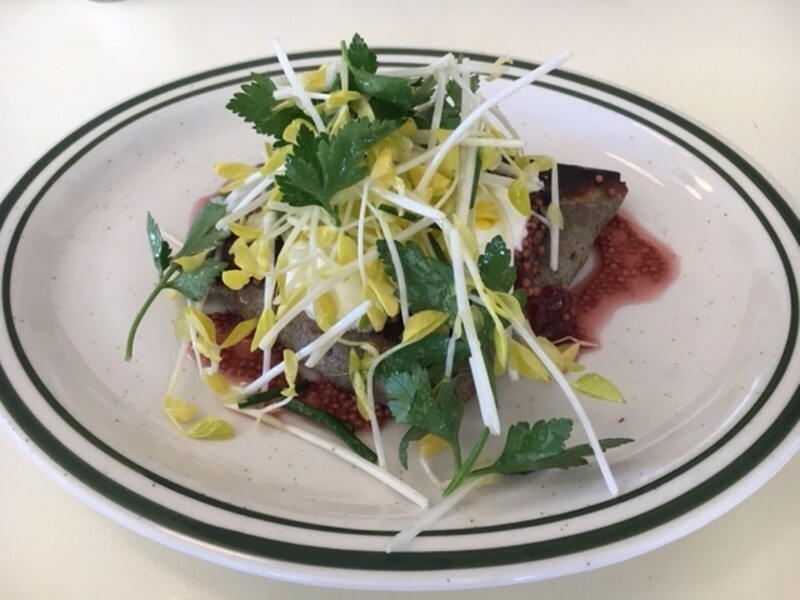 Old Woman Springs Road, running right through the itsy-bitsy town of Flamingo Heights, would be no different were it not home to La Copine, a dynamite desert eatery serving up the best New American cuisines for dozens of miles around. Women owned and operated, the mercurial eatery is only open 2-7pm Wednesday through Sunday and closed in summer. The food and service are both knockout excellent which explains why lines are often out the door—even in this nowheresville town. The desert is nothing if not chock full of kooky wonders. 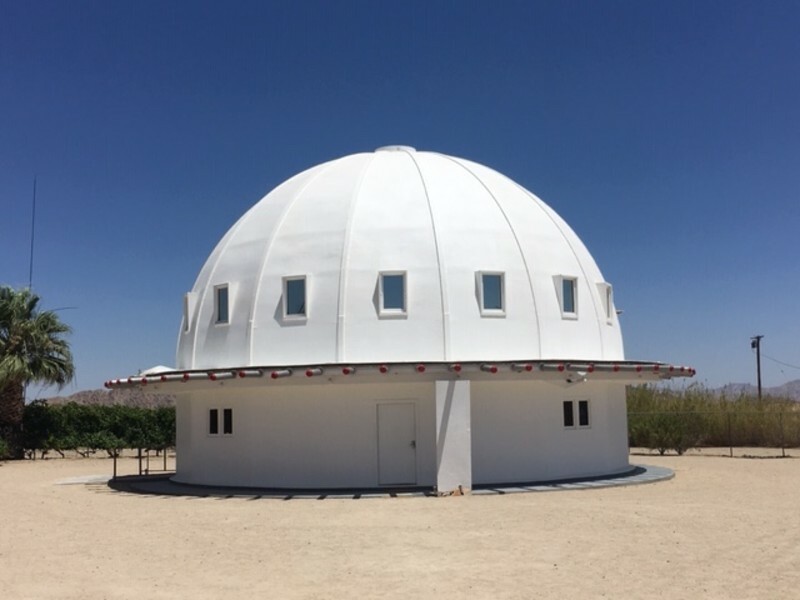 Enter the Integratron, a 38-foot tall, snow white cupola building designed by Ufologist George Van Tassel in 1959 based on specifications he claimed were delivered to him by aliens (no joke). 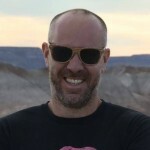 The Integratron has since been fashioned into a family run healing retreat of sorts where visitors can book a sound bath (reserve well in advance) in the second floor dome of the building where the sounds created by crystal quartz bowls of varying size induces trance-like Zen. If you’re imagining lots of SoCal-based yoga enthusiasts and spiritual types lulled into a meditative state, you’ve got it exactly right. If you feel small in comparison to the vastness of the desert, you ain’t seen nothing yet. 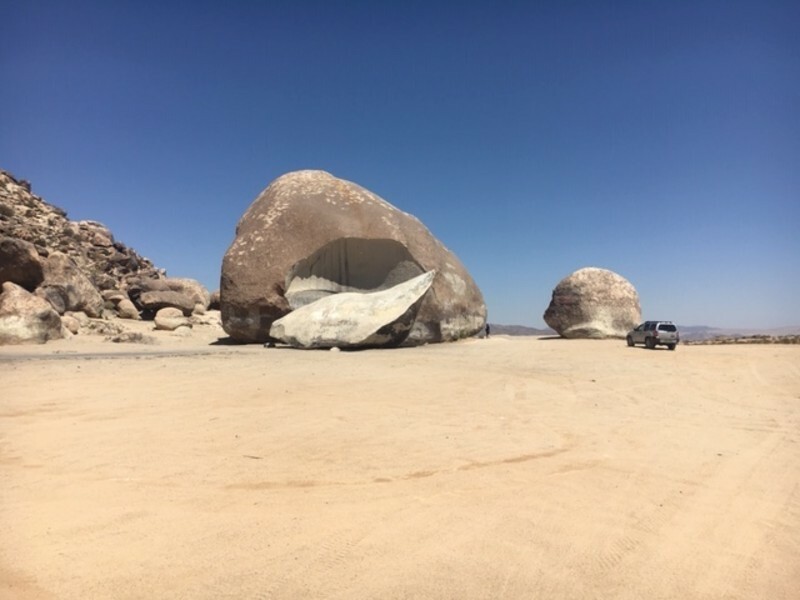 Down a long dirt road outside Landers (we recommend a 4WD vehicle for this one) is the 7-story, 5,800 square-foot boulder known as Giant Rock. Once purported to be the largest freestanding boulder in the world, a sliver has since broken off (itself fascinating to look at). If nothing else, it’s a winning entry for your Instagram feed, but if you’re lucky enough to visit when nobody else is around, the deafening silence will make your spine tingle. 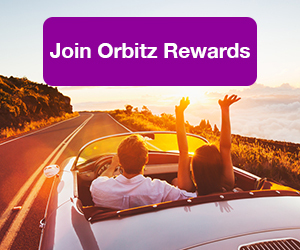 ALSO: An amazing destination deserves an awesome rewards program. 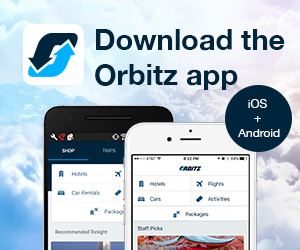 Join Orbitz Rewards and start saving instantly! In Southern California, it’s entirely possible to ski powdery white slopes in the morning and sunbathe in the afternoon. That’s because Big Bear Lake, an Alpine mountain village, is less than two hours from Palm Spring’s famed swimming pools. But you won’t want to leave Big Bear. Scruffy, unpretentious and oozing as much charm as any ski town competitor, Big Bear is a refreshing joy less than two hours from downtown LA. Its winter charms are obvious (ski, snowboard, cozy by the fireplace), but in summer the town provides balmy respite from sizzling desert temps. 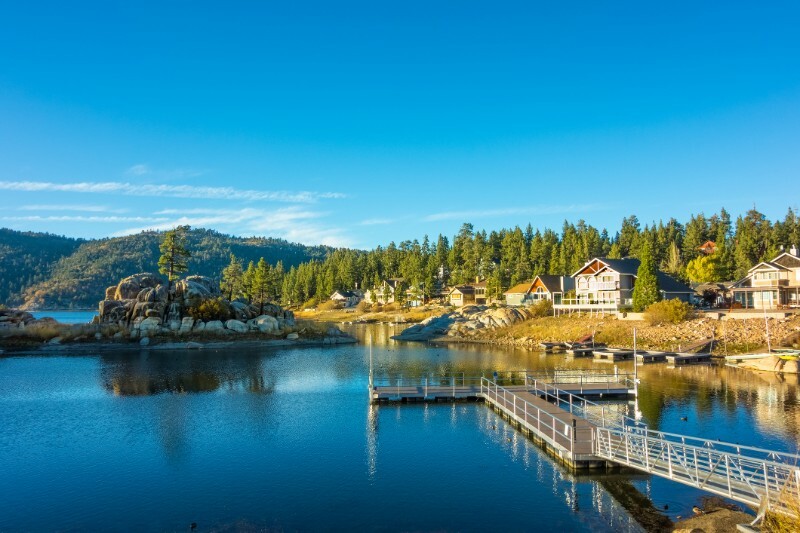 Try biking down Big Bear mountain, casting a line on the lake and strolling the village. Oh, and definitely grab some poke from Local, a Hawaii-inspired food truck staffed by the chillest and most fun dudes you’ll ever encounter. If you’re willing to jump through a few hoops, have we got a treat for you. Drive about 90 minutes east of LA to suburban Apple Valley, then drive another 45 minutes (partially on dirt roads) to a private property. Pay the small entrance fee and continue hiking 40 minutes down into a valley until you come upon a large pond surrounded by small hot springs of varying temps. An idyllic playground for swimming, picnicking and lounging, Deep Creek Hot Springs are also a perfect escape from an overcrowded LA. The vibe is millennial hippie, so expect naked frolicking and the smell of cannabis. It never boasted the likes of Wyatt Earp or Calamity Jane, but if you’re looking for a little bit of Wild West razzle dazzle with your I-15 drive, swing off the freeway at Ghost Town Road and check out Calico Ghost Town, a boom and bust silver mining town that flourished until the early twentieth century and was purchased mid-century by Walter Knott (of Berry Farm fame) who restored the town and turned it into the tourist attraction it is today. A few original structures remain, but most have been replicated to look like a gold rush town. Nevertheless, it’s fun to walk the sloped grounds and if you’re into ersatz gun fights—Calico’s got ’em! The best stars in Southern California are not the red carpet-walking kind, they’re the ones is the nighttime desert sky and the best place to see them all is at Sky’s the Limit, an observatory and nature center in rural 29 Palms. Home to a model of our solar system that’s made to scale and staffed by the kindest and most knowledgeable docents in the desert, the real show happens at night, naturally. Gather on on any Saturday evening (when the moon isn’t full) for a nighttime party where you’ll hang out with planets, constellations and other wonders of the galaxy. Come ready to be amazed. A woodsy hamlet reminiscent of New England? That would be Oak Glen, a tiny town of less than a thousand people only 15 miles east of the city of San Bernardino, but at an elevation of nearly 5,000 feet. You know what that means—four distinct seasons! In particular, the masses swarm this Lilliputian village in autumn thanks to its reputation as a u-pick paradise for apple lovers. In addition to numerous orchards and all things apple related (Cider! Pie! Fritters! ), there’s also pumpkin and berry picking, live music, a petting zoo, cafes and bakeries and, of course, crunchy fall leaves. You didn’t think we were going to leave out Joshua Tree National Park, did you? 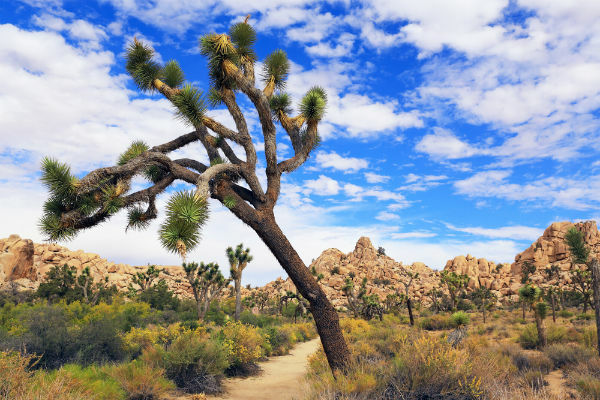 The most famous attraction in San Bernardino County encompasses almost 1,200-square miles (making it larger than Rhode Island) of stunning desert wilderness made famous by its most delicate feature—miles upon miles of stark and captivating Joshua trees. Park highlights include Skull Rock, the magnificent Cholla Cactus Garden and Lost Palms Oasis Trail. Do not cut down, climb or tamper with the trees, some of which were irreparably harmed during the recent government shutdown. Pretend you’re in a fancy store: Look, but don’t touch.